Microsoft has announced the pricing details of a student version of its Office 365, days ahead of the official launch of the Windows 8 platform. In a blog post, Microsoft said that full and part time university and college students along with faculty and staff can sign up for 'Office 365 University' for a monthly rental of US$ 1.67 or US$79.99 over four years. Microsoft's Office 365 suite includes products such as Microsoft Word, PowerPoint, OneNote, Excel, Outlook, Publisher and Access, and can be installed on up to two PCs. The suite will be available in the first quarter of 2013, while Office 365 University will be offered online, at retail location, Microsoft Stores across 52 markets worldwide. “Starting today, eligible students can buy Office University 2010 or Office University for Mac 2011 and receive a free subscription to Office 365 University when it becomes available,” said the blog post. MS Office 365 is the latest cloud-based version of Microsoft's Office, which is available in two variants – Office 365 Home Premium ($99.99 per year) and Office 365 Small Business Premium ($149.99). According to Microsoft, the Office 365 University documents will be saved to SkyDrive by default for eacy access across devices, along with free up to 27GB of storage. The company is also offering Office 365 University users 60 Skype world minutes free each month. Users can use the suite even when they are away from their PC by streaming full-featured Office to an Internet-connected Windows-based PC. 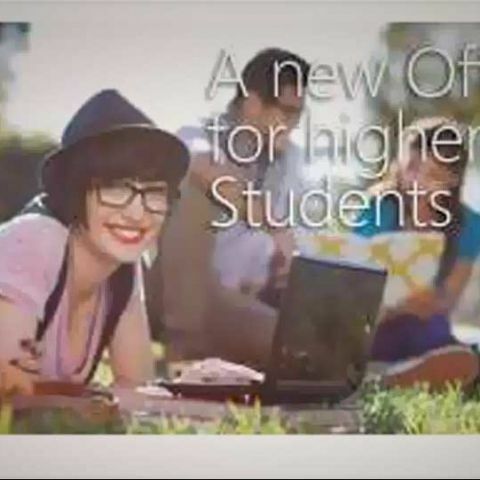 Find out more on MS Office 365 University here. The announcement related to Office 365 University comes shortly after the company released its Office 2013 to manufacturers. Microsoft is offering free 2013 upgrades to those who purchase Office 2010 from local retailers starting Oct. 19.